Muscle cramping often happens to people in their leg muscles during the nighttime. Charley horse cramping presents the same symptoms, but most often during exercise. 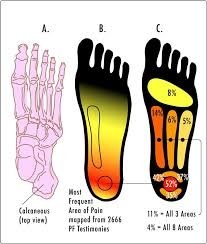 And, whether it is cramping due to exercise or cramping at night, there’s an overlap incauses and symptoms. Note: nighttime cramping is not the same as “restless legs.” Restless Leg Syndrome is more of a general discomfort disorder while cramping is both painful and sudden. A Charley horse is when muscles suddenly tighten up; the calf muscle at the back of the lower leg is most commonly affected. A charley horse presents as an uncontrollable spasm that is often brief, but can last up to several minutes — but not more than 10 minutes. The Merck Manual says that almost everyone will experience muscle cramping at some point. Cochrane reviewers estimate that 1 in 3 people get cramps of the leg. For most people, the muscle contracts painfully without lasting problems. For others, however, the cramps can be severely painful and leave some muscle pain for days. They can be related to medical conditions or use of prescription drugs. When a muscle is cramping, people should gently stretch out the muscle. For calf cramp in the back of the lower leg, this means pulling the toes and the foot upward to the front of the leg. It is likely that using “charley horse” to describe a muscle cramp comes from informal American sporting talk dating back to the 1880s. A story cited by the American Dialect Society says that in a 1907 edition of The Washington Post, the term was apparently used for a baseball pitcher named Charley who had muscle cramps during games in 1880. Other than some informal baseball history, there is no particular reason that a Charley horse has its name, but when you say you have one — nobody questions what it is or how it feels. How Do You Know When a Disc has Ruptured? Having a ruptured or herniated disc, also referred to as a “slipped” disc, can be very painful, but so are many initial back injuries. In fact, most active people who play sports or exercise are all too familiar with back pain that may mimic symptoms of a herniated disc, but understanding how a rupture can affect other nerves is the key in knowing how to differentiate this from pain caused by other conditions. 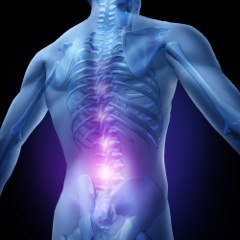 As most readers know, the spine consists of small bones called vertebrae that are stacked one on top of another in a configuration that supports the weight of your body; the spinal column protects your spinal cord and connected nerves. Between each set of bones is a disc that acts as a shock absorber. Each disc is composed of two components: An outer shell of strong material; and an inner core of a jelly-like substance called the nucleus pulposus, which the vertebral disc to withstand forces of compression and torsion. A rupture or herniation occurs when a disc ages or is damaged by trauma and a small penetration develops in its protective outer shell, allowing small amounts of the jelly-like nucleus pulposus to escape. For a quick visualization, imagine what happens when you squeeze a jelly-filled donut and see the jelly squirt out the hole of its side. According to the American Academy of Orthopaedic Surgeons, a herniated disc can affect a nerve’s roots in one of two ways: The first and most obvious mechanism is through sheer pressure. As the disc ruptures, forcing the jelly-like nucleus pulposus into your spinal canal, the viscous material can pin your nerve roots against the borders of your spinal canal, causing physical trauma to the nerve roots. The second way a herniation affects a nerve root is by the very nature of the chemical make-up of the nucleus pulposus. The substance is very irritating to nerves and causes a significant inflammatory response when it contacts a nerve root. This explains why even a minimal disc herniation, which may exert insignificant physical pressure on nerve roots, can still be extremely painful. Symptoms will vary depending on the location of the ruptured disc. Literature on disc herniation offered by the American Medical Association outlines several scenarios for ruptures in different areas of the spinal column: A ruptured disc in your neck may cause pain around your neck, shoulder blade or running down your arm. A disc rupture in your lower back can cause low back pain and sciatica (buttock, and leg pain that shoots down either leg). Some patients describe it as electricity or feeling like their leg is on fire. Other symptoms include pins and needles, or numbness and tingling. More severe disc ruptures can result in weakness in the muscles in your arms or legs as a result of pressure on the nerves controlling those muscles. In extreme cases, they can cause loss of control over your bowel and bladder. Your pain will tend to increase with coughing or sneezing and with sitting down. In order to make the diagnosis, your doctor will perform a history and physical exam to see if your symptoms are consistent with a ruptured disc. 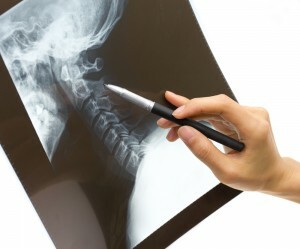 If appropriate, a MRI of your neck or back may show the exact location and size of the herniation. With the goal of relieving discomfort and preventing any permanent injury to your nerves, treatments range from medications and physical therapy to epidural steroid injections or surgery. Depending on the location and size of the disc, surgical intervention may be necessary. The key is getting a proper diagnosis early, so your doctor can determine which treatment will prevent your condition from worsening. As with most injuries, the sooner you take care of a herniated disc, the more likely you’ll be able to recover without lasting pain or damage. When experiencing lower back pain, the cause could be due to various reasons; often it’s mechanical back pain commonly seen in sedentary workers with poor posture and a lack of ergonomic seating. For instance, driving for prolonged periods of time, over-exercising, lifting and bending, or twisting suddenly can strain the sciatic nerve, all of which results in lower back pain as well as pain in the back of legs. Sciatica (pronounced sigh-at-eh-kah) is not a medical diagnosis in and of itself — but a symptom of an underlying medical condition. Common lower back problems that can cause sciatica symptoms include a lumbar herniated disc, degenerative disc disease or spinal stenosis. 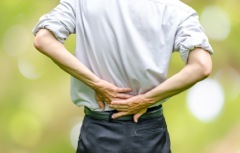 Five-to-10 percent of people having lower back pain suffer from sciatica. It’s mostly seen in people between the ages of 18 to 35, according to the American Medical Association. The AMA says the prevalence of sciatic symptoms varies considerably, ranging from 1.6 per cent in the general population to 43 percent in a selected working population. Unfortunately, 30 percent of patients approach specialists only after suffering for at least a year or more. Research has shown that in nearly 90 percent of the cases, a herniated disc involving nerve root compression causes sciatica. Patients suffering from sciatica are advised to maintain bed rest for three to four weeks so their condition improves. 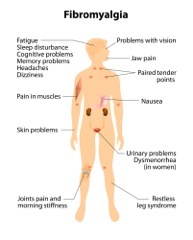 In most cases, the majority of symptoms settle down with non-operative management, which involves extensive rest. Long-distance drivers are at high risk of developing sciatica because of the constant jerks on bumpy roads, which cause a weakening of their spinal discs. The height of the individual also matters, as most of these discs rupture backwards when the person bends forwards. The distance of the force multiplies the pressure on the spine, so there’s more pressure on discs in taller people when they bend. Taller people have to bend more and also when they bend their center of gravity moves further away from the spine, according to the Spine Health Institute of England. Stand up straight with your ears aligned with your shoulders, shoulders aligned with your hips, and your buttocks tucked in. Knees should be bent slightly. A study released by scientists from the Perelman School of Medicine at the University of Pennsylvania have discovered a way to delete the subset of antibody-making cells that cause an autoimmune disease without harming the rest of the immune system. Scientists believe the study has the potential for future treatment of autoimmunity and related conditions. 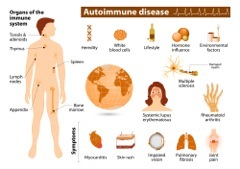 Current therapies for autoimmune disease, such as steroids like prednisone and the cancer-suppression drug, rituximab, suppress large parts of the immune system, leaving patients vulnerable to potentially fatal infections and other cancers. The specific disease that Penn researches studied, called pemphigus vulgaris (PV), is a condition where a patient’s own immune cells attack a protein called desmoglein-3 (Dsg3) that normally binds skin cells together. According to the study, the Penn researchers demonstrated their new technique by successfully treating an otherwise fatal autoimmune disease in a mouse model, without apparent “off-target effects,” which could harm healthy tissue. The results were published in an online First Release paper on June 30, 2016 in Science. “This is a powerful strategy for targeting just autoimmune cells and sparing the good immune cells that protect us from infection,” co-senior author Aimee S. Payne, MD, PhD, an Albert M. Kligman Associate Professor of Dermatology, wrote in a statement released by the Perelman School of Medicine. Payne and her co-senior author, Michael C. Milone, M.D., Ph.D., an assistant professor of Pathology and Laboratory Medicine, adapted the deletion technique from a promising anti-cancer strategy by which “T cells,” which are an integral part of the human immune system that help fight disease, are engineered to destroy malignant cells in certain leukemias and lymphomas. “Our study effectively opens up the application of this anti-cancer technology to the treatment of a much wider range of diseases, including autoimmunity and transplant rejection,” Milone wrote of their findings. While not citing the specifics of why pemphigus vulgaris was specifically chosen by researchers, the condition occurs when a patient’s antibodies attack molecules that normally keep skin cells together. When left untreated, PV leads to extensive skin blistering and is almost always fatal, but in recent decades the condition has been treatable with broadly immunosuppressive drugs such as prednisone, rituximab and mycophenolate mofetil, also known by its retail name, CellCept. Researchers said their plan now was to test the treatment in dogs, which can also develop PV, and often die from the disease. “If we can use this technology to cure PV safely in dogs, it would be a breakthrough for veterinary medicine and would hopefully pave the way for trials of this therapy in human pemphigus patients,” Payne wrote in Science. Degenerative disc disease is one of the most common causes of low back pain and neck pain, but also one of the most misunderstood. In the ongoing effort to develop new treatments for this chronic condition, Mesoblast, an Australian biotech company, is testing a new stem cell treatment that seeks to alleviate the condition. Simply put, degenerative disc disease describes the symptoms of pain, and possibly radiating weakness or numbness, stemming from a degenerated disc in the spine. • If I have this much pain in my thirties, how much worse will it become with age? • Will the disease become a crippling condition? Will I end up in a wheelchair? • Should I restrict my activities? Can I still play sports? • Will the disease spread to other parts of the spine? • Will the degenerated disc(s) cause any permanent damage? For most people, the term degenerative understandably implies the symptoms will get worse with age. However, the term does not apply to the symptoms, but rather describes the process of the disc degenerating over time. Mesoblast is currently enrolling patients in a Phase 3 study to see if a single injection of mesenchymal precursor cells, taken from the bone marrow of healthy donors, can relieve back pain and improve the mobility of patients suffering from the condition; degenerative disc disease occurs when the cushions between vertebrae wear down because of aging, genetics or injuries. The treatment consists of millions of MPCs that are injected directly into the damaged disc in an outpatient procedure. Previous studies have found that MPCs have anti-inflammatory effects, and help strengthen and improve the stability of damaged discs. The treatment is being developed for patients who have exhausted other options for their back pain. UC Davis is one of 28 sites in the United States and Australia involved in the study. Participants with degenerative disc disease in the lower back will receive injections of either MPCs, MPCs with a carrier material (hyaluronic acid) or a placebo. Although the MPCs are collected from donors, tissue matching is not necessary. Following treatment, researchers will evaluate participants six times over the course of a year. They also will be given the option to participate in an extension of the study to track their progress for three years after the initial injection. Previous studies have found that MPCs have anti-inflammatory effects and help strengthen and improve the stability of damaged discs. Researchers caution, however, that the treatment may not be effective for everyone. A recent study by the Association of Academic Physiatrists pegs recovery for Ultramarathon runners to take anywhere from five-to-seven days, post race. An ultramarathon, also called ultra distance, is any footrace longer than the traditional marathon length of 26.2 miles. As Ultramarathons have grown in popularity, with some people participating in multiple races each year, the stress on the body can become intense. 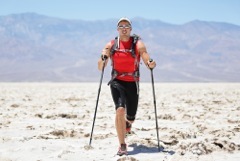 Ultramarathons typically take on tracks, roads and trails with terrains and environmental conditions that challenge even the most seasoned runners. With the increase in the number of people running multiple ultramarathons each year, combined with the physical stress each race places on a runner’s body, it has made understanding the factors that enhance recovery, that much more important. Researchers studied 72 participants in the 2015 Western States Endurance Run — a 100-mile trail race through the Sierra Nevada mountains of Northern California where runners climb 18,000 feet and descend 23,000 feet. The team established each participant’s baseline function with two separate runs in the 21 days prior to the race, and repeated these baseline tests at days three and five after the race. The researchers also assessed subjective measures by participant’s lower body muscle pain — on a scale of zero (no pain) to 10 (unbearable pain) — and fatigue at race registration, immediately after the race, and each morning for the seven days immediately following the race. Finally, at completion of the race, the researchers collected blood samples from participants to determine plasma creatine kinase concentrations of each runner; this measurement helps determine muscle damage. Instead of the typical 24-to-72 hours it takes to recover from exercise-associated muscle pain and soreness, researchers discovered that participants required an average of five days to recover. The researchers noted that older runners reported slightly less muscle pain and soreness. Also, higher levels of post-race plasma creatine kinase concentrations were correlated with higher muscle pain and soreness ratings. Proponents of acupuncture swear by it and preach its efficacy with a passion usually reserved for religious zealots. Skeptics (usually those with a needle phobia or others not open to “alternative” medicine) aren’t so sure. We ask: What’s the harm in trying? What do you have to lose? Of course, acupuncture isn’t some new “fad” or “technique,” but rather a traditional Chinese medical application based on the idea that health is governed by the flow of energy (called qi) throughout the body, along pathways called meridians. Practitioners claim that illness occurs when this energy flow is disrupted or becomes unbalanced. 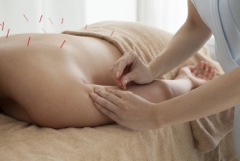 Precise insertion of acupuncture needles is said to restore the flow of qi and improve health — and if you ask acupuncturists and their clients, the litany of ailments that acupuncture can cure is long. The Cochrane Library, a highly regarded collection of six databases containing different types of independent evidence to inform healthcare decision-making, finds acupuncture an effective treatment for fibromyalgia, migraine headaches, neck pain and many other conditions. Naysayers claim it’s nothing more than a placebo, which tricks the body into making itself believe things are better. However, if acupuncture helps facilitate your body’s natural healing ability, then isn’t that what its practitioners claim all along? In 2003, the International Journal of Obesity looked at the body of evidence regarding the use of acupuncture to help lose weight. While the results were mixed, some research found that treatment (specifically, when needling the ear) did help patients lose weight —in conjunction with traditional weight-loss methods, like exercise and a clean diet. Alternatively, some research found that it was merely the mental effect of acupuncture (more on your mood and needles below) which caused patients to feel better and thus lose weight. In a systematized review of 41 trials, acupuncture was shown to relieve insomnia just as effectively as Western medical treatments (a la: Ambien). A 2005 study published in Health Technology Assessment confirmed that for all types of non-specific lower-back pain (i.e. not because of a herniated disc or other diagnosable problem), not only did acupuncture relieve just as much pain as traditional primary doctor treatment did in a one-year window, but after two years, acupuncture was a far more effective means of pain reduction. There is a correlation linking acupuncture with heightened production of NK (natural killer) immune cells. This association was especially strong as it relates to cancer, as published in Evidence Based Complementary and Alternative Medicine. In 2003, research found that acupuncture was just as effective as the well-known prescription drug Imitrex in treating migraines. Additionally, another study that same year confirmed that regular acupuncture was effective in preventing nearly 50 percent of migraines. If you suffer chronically from esophageal pain, it’s probably worth giving the needles a try. A study published in 2007 confirmed that acupuncture helped improve heartburn more than medicine did on its own, suggesting that the two therapies in tandem work best. A 2013 study published in the journal Annals of Internal Medicine found that acupuncture not only helps with pain, like the lower-back kind, but can also help relieve allergy symptoms such as itching and sneezing. However, like the heartburn research, this was found to be true in groups who were also medicating themselves with antihistamines. Of course, science can tell you that something is good one day and reverse itself the day after. Thus, the evidence is mixed. Some doctors will dismiss acupuncture completely. Acupuncturists swear by it. Some clinical studies back it up; some doctors do, too. Not only do many healthcare providers cover the service, but it also has been clinically proven to be non-harmful. Even if the most skeptical scientists say it’s nothing but a placebo, the fact of the matter is the placebo effect — in and of itself — is real.